Max tames the wild things and crowns himself as their king, and then the wild rumpus begins! "From their earliest years children live on familiar terms with disrupting emotions, fear and anxiety are an intrinsic part of their everyday lives, they continually cope with frustration as best they can. And it is through fantasy that children achieve catharsis. 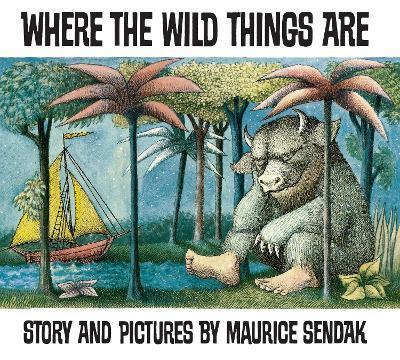 It is the best means they have for taming Wild Things" Maurice Sendak. New edition.